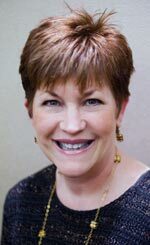 Toni Horvath has been in private practice in Sacramento as a licensed Marriage, Family & Child Therapist since 1994. She is known for her direct approach to therapy and the belief that we are holders of our own answers to life’s challenges. Humans are resilient and possess tremendous capacity to change and grow throughout our lifespan. Toni is humorous in her approach and provides real world solutions to problems. While she is empathetic and validating, she does not want clients to stay stuck in pain  she is a facilitator of movement and positive change. She works with solution based therapy. Change is inevitable  how we respond to change is what can be altered and positively processed to resolution. We do not get “over” past hurts and/or traumas  we go through them and we integrate the lessons learned in the process. “We cannot direct the winds, but we can adjust our sails”. Toni works with both short-term and long-term therapy clients. Toni combines a unique combination of therapeutic and clinical training with a previous career in sales and marketing management. Her business expertise gives her a different perspective in counseling individuals as well as assisting and consulting with businesses.